What Kind of Lock Should You Use? When it comes to installing locks in your home or business, there are several options from which to choose. Knowing the right type of lock to use for your intended application is the best way to ensure security and keep your property safe from intruders. Knob locks are probably the most common type of lock. They are used in both homes and businesses. Knob locks are most suited to interior doors, and many security professionals do not recommend them as your sole line of defense for exterior doors. With these types of locks, the locking mechanism is located within the knob itself. Because of this, they are fairly easy to break and so they do not offer a high level of security. The best application for this type of lock is typically an interior door, for example a bedroom door or a closet that you would want to restrict access to. 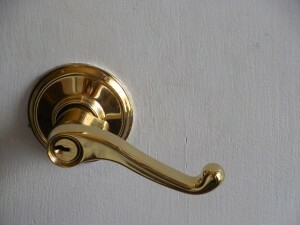 Similar to knob locks, lever handle locks are more commonly found in commercial locations. These types of handles have push down handles rather than knobs that turn. The locking mechanism is located in the handle, which is sometimes easier to break than a knob lock. Placing a great deal of force on the handle can cause it to break, allowing intruders to enter your property. Dead bolts are among the most common types of locks for residential and commercial properties. In most instances, they are installed on exterior doors, and there are several types of dead bolts to choose from. 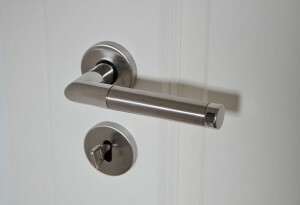 Single cylinder deadbolts are the most common option for residences. They have a knob for unlocking on the inside, and a key must be used to unlock from the outside. Double cylinder deadbolts provide additional security because they need to be unlocked using a key from both the inside and the outside. This, of course, makes it necessary to leave a key inside the property at all times, and it can pose some challenges when it comes to exiting the building during an emergency situation. A lockable thumbturn lock is an excellent choice that provides the best of both worlds. This type of lock features a thumbturn on the inside which can be used to unlock the door and a keyhole on the outside. However, the thumbturn can also be locked, if necessary. This provides the benefits of both single cylinder and double cylinder deadbolts without the potential drawbacks associated with either. Combination locks include both mechanical and digital locks. While mechanical locks generally only accept one access PIN, many digital locks can be programmed to accept multiple PINs. The primary benefit of this type of lock is that users do not have to worry about having their key with them. For some people, however, remembering PINs can be a bit of a drawback. Electric card locks are popular choices for businesses, but they are also an ideal solution for multi-tenant residential buildings, such as apartments. Those with permission to enter certain areas can do so by simply tapping or swiping their card. 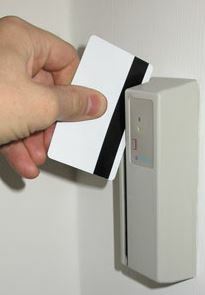 One major benefit to this type of lock system is that lost or stolen cards can simply be deactivated. Logs can also be kept to keep track of who uses their key card where and when. 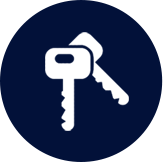 If a security issue arises, key cards can be reprogrammed without needing to be replaced, making this system more cost efficient than traditional keyed locks. 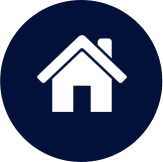 Whether it’s a commercial or residential building, keeping it secure is crucial. No matter what type of lock you are in need of, trust Colorado Security Products for the professional security services you need. We can help you choose the right type of locks for any application, and we also offer advanced security systems and 24 hour monitoring. Your security is our top priority. To learn more about how you can improve the security of your home or business, call your Denver locksmith now at 303-647-1474.